NEW YORK-EUA.-AGPROG (22-05-2015) .- The existence of an imperial US macabre plan to fight Russia is more than evident, where it strives in vain to confront and subdue unnecessarily strong RUSSIA , to a free and sovereign nation, by a clumsy political Americanist pushed by its ruling elite in power enthroned by the same technology and finance military industrial complex. In the US ruling elite no longer hides more that his stingy eagerness imperial geostrategic on the planet using all its machinery to bend the arm to nations demand freedom and self-determination and do not want a sovereign country, the question and found to a Russia as a serious obstacle in the implementation of its global policy, forgetting even now under terrible amnesia was Russia itself, and more than 70 years, who defeated the same imperial behavior of the Nazi-fascist Germany during the fateful Second World War in which Russia I offer more than 27 million martyrs and heroes. US has now apparently forgotten history and attempts to reincarnate the Nazi paper or retrograde behavior globally again. Is it that history could repeat itself ?. USA apparently does not want or do not want to acknowledge that now the planet and the community of nations, is no longer a unipolar world as they tried to set it up, but a multipolar world where nations claim to be free and not vassals. Then a series of actions and events that push the planet into a global conflagration pushed by the US and their macabre interests are listed. The Italian daily La Stampa ‘discovers a secret US document that sheds light on Washington’s plans to deploy its offensive confrontation with Moscow. According to the document, the White House prepares for a long cold war that will not end until at least 2024, when US He believes that Putin will leave his office in the Kremlin. The information material is based on assumptions classified US documents by Paolo Mastrolilli, author of the article in the Italian newspaper La Stampa ‘. According to the documentation, the US president, Barack Obama, has appealed to its allies to maintain firmness in its relations with Russia. Seven EU countries support the idea of ​​canceling the sanctions to Russia, TASS reported citing sources in Brussels. Austria, Hungary, Italy, Cyprus, France and the Czech Republic supported the idea to cancel the sanctions imposed on Russia, TASS reports citing “a diplomatic source in Brussels”. Earlier, a source in the EU Council TASS was informed that the foreign ministers of the Union does not take any decision on sanctions against Russia during the first meeting of the year scheduled for 19 January. “The position on the sanctions will be discussed in March,” said the same person. “It is more likely that ministers prepare a basis for relaxing the sanctions regime,” says the diplomat. Several European politicians, including German Foreign Minister Frank-Walter Steinmeier underlined the inefficiency and danger of sanctions against Russia. The Wall Street Journal reported on Tuesday January 13, citing a document prepared by the European External Action Service, the EU was ready to ease sanctions and normalize relations with Russia on the condition that Moscow would change its position to conflict in Ukraine. The Foreign Minister of Germany, Frank-Walter Steinmeier has criticized supporters of strengthening sanctions against Russia, alleging that such measures would threaten stability in Europe. “Some, even in Europe, they’d get through the imposition of new sanctions, which from an economic and financial standpoint to Moscow not to get the air,” announced Foreign Minister of Germany, Frank-Walter Steinmeier During his speech at the economic forum organized by the newspaper ‘Die Welt’. “As Minister of Foreign Affairs of Germany, I must oppose: this will not promote stability in Europe if next is going to find Russia on the brink of economic collapse,” he continued Steinmeier. Earlier, the Vice Chancellor and German Minister of Economics and Energy, Sigmar Gabriel, had also pointed out that imposing tougher sanctions against Russia could destabilize the country and cause “even more dangerous situation” in Europe. US Reaction before the decision of the Czech President Milos Zeman, traveling to Moscow to celebrate the 70th anniversary of the victory over Nazism in World War II, it shows that Washington fears failing to isolate Russia from the Western world, according to Alexei Pushkov, chairman of the International Affairs Committee of the State Duma of Russia. “Judging by the hysterical behavior of the US ambassador to the Czech Republic [Andrew Schapiro], Washington is nervous about the travel of leaders of Western countries in Moscow on May 9. They are afraid that the isolation [of Russia ] will not work, “Pushkov published in his Twitter account Monday, RIA Novosti reported. In late March, Schapiro described as “short-sighted” decision to travel to Russia Zeman of the 8th and 9th of May to celebrate Victory Day. Schapiro predicted in a comment to the news agency CTK that these plans would “discredit the position of the West on Ukraine”. Czech president’s response was blunt: “The gates of Prague Castle are closed to the ambassador Schapiro,” Zeman said the official information portal of the Czech Parliament. “I can not imagine the Czech ambassador in Washington US President giving advice on where to go,” he said. “I will not have no ambassador to interfere in my program of visits abroad”. The White House is determined to block the emergence of two key nuclear powers, Russia and China, neither of which accept US hegemony, says American political scientist and economist Paul Craig Roberts, who believes that “Washington made a error could be fatal for humanity “. “The US has always had a good opinion of himself, but with the fall of the Soviet Union reached new heights complacency. We become outstanding people, the people vital, the country chosen by history to exercise hegemony about the world, “writes political scientist in an article published on its website. He is adding that “this neoconservative doctrine frees the US Government limitations of international law and allows Washington to use coercion against sovereign States in order to remake the world”. Because of this policy, Beijing is currently being confronted with US strategy known as ‘Pivot to Asia’ (turn to Asia), and “the construction of new naval and air bases to ensure US control in Washington the South China Sea, which is now defined as areas of national interest for Americans, “says the author. On the other hand, the attempt to contain Russia is the source of “the crisis that Washington has created in Ukraine and use it to make anti-Russian propaganda,” Roberts explains. Neither Russia nor China accepted the call “vassal status accepted by the UK, Germany, France and the rest of Europe as well as Canada, Japan and Australia,” says political analyst said, adding that “the price of peace world is that everyone accept the hegemony of Washington “. “On the foreign policy front, the arrogance of the self-image of America as the ‘unique and indispensable’ hegemonic country with rights to other countries means that the world prepares for war,” Roberts writes. In his column, Roberts also addresses the issue of the Moscow celebrations of the Day of Victory over Nazism, which western politicians boycotted, while “the Chinese were there in place” with the president sitting next to Vladimir Putin during the military parade on Red Square, which, according to political scientist, marked a “historic turning point”. Although the comparison of Soviet casualties with US, UK and France combined “makes absolutely clear that it was Russia who defeated Hitler with more than 27 million heroes” in his speech to mark the 70th. anniversary of the surrender of Nazi Germany the American president only mentioned US forces Instead, President Putin “expressed his gratitude to the people of Britain, France and the US for its contribution to the victory,” recalls former economic adviser to President Ronald Reagan. For many years the Russian leader publicly declared that “the West does not listen to Russia,” writes the author. “Washington and its vassal states in Europe, Canada, Australia and Japan do not listen when Russia says no pressure us so much, we are not the enemy, we want to be your partner, ‘” laments Roberts. Because of US policy, “Russia and China have finally realized that they have to choose between servitude and war,” says political scientist, warning that “Washington has made a mistake that could be fatal for humanity” . The decision to correct the national security strategy is due to the emergence of new dangers and military threats after the events of the ‘Arab Spring’ in Syria and Iraq, the situation in Ukraine and its environment. The head of the Federal Security Service of the Russian Federation, Nikolai Patrushev, said that Russia will change the National Security Strategy 2020 and the Doctrine of the Information Security because of the new military threats that appear around the world. As reported by the agency Ria Novosti, the changes are due to the emergence of threats after the events of the ‘Arab Spring’ in Syria and Iraq, the situation in Ukraine and other conflicts. Patrushev said that the dangers and military threats are moving increasingly to the information space. “It increases the aggressiveness of US and NATO against Russia, like its offensive on the borders with our country capabilities. Deployment operations overall missile defense system are carried out,” says the politician. In late December 2014 Russia adopted a new military doctrine. The main provisions were unchanged, but first appeared a reference to national interests in the Arctic, relations with Abkhazia and South Ossetia, and threats by increasing the strength of NATO. In the opinion of Stephen Cohen, the current political course of the US authorities in regard to Russia can be destructive for the country, because if Washington loses contact with Russia, Moscow will reject any cooperation on international security. “The crisis in Ukraine is a blow to the still larger than the Iraq war US national security. And this is because there is no question, no regional or national, the US can solve without Moscow “says Stephen Cohen, recalling that Russia remains the world’s largest country, which has large energy resources and considerable arsenal. The isolation of Russia will promote “the creation of strong relations between Russia and East,” says the historian. At the beginning of the last decade both countries were able to establish a strategic partnership, says Cohen. However, Russian President steps towards rapprochement encountered “betrayal” for the part of George W. Bush that his country had split missile defense treaty, foundation of nuclear safety in Russia. According to the historian, the US then lost a unique opportunity that could have been crucial to forge good relations with Russia. “The US does not want allies but vassals,” he stressed the Russian president, Vladimir Putin, during the annual session of questions from the citizens of this April 16th. “It was not us who have broken relationships. We always advocate cooperation with all, both with the West and with the East,” said the Russian president during the round of questions within the framework of the ‘Hotline’. On the possibility of tensions between Moscow and Western countries to soften Putin stressed that mandatory condition must be respect for Russia and its interests. Since the early 1990s, whenever Russia has declared its interests, just talking about your posture always he looked a very harsh reaction, insisted the Russian president. “Some believe that exceptional superpowers and are considered the only center of power in the world does not need allies. What they need are vassals. I mean US Russia can not exist within a system of relationships as well. That should understand all “he stressed Putin. At the same time, the Russian president stressed that Moscow does not consider “any of the participants of international communication” an enemy. “The enemies of Russia are the international terrorists and organized crime,” he pointed out. “We do not consider anyone our enemy and we do not recommend anyone to consider us their enemy. We are a country with a huge potential for development, with vast natural resources and, without doubt, are a great nuclear power, so be our enemy is honorable, as being our friend, “said the president. After World War II, the Soviet Union tried to impose by force many countries in Eastern Europe its development model, he has reminded the Russian president. “There’s nothing good about it and today we continue to suffer the echoes of those days. But now Americans behave the same way when they try to impose their model on virtually everyone. It also awaits a failure,” he assured . Russian President Vladimir Putin, took part Thursday in a new edition of ‘hotline’, where he answered the questions of citizens on various national and international issues. It was the thirteenth time that Putin, either as prime minister or president, gives a ‘interview’ live Russian citizenship. The refusal of some European leaders to attend the celebration of Victory Day in Moscow is proof that “Europeans are no longer a proud people,” said US political scientist Paul Craig Roberts. He said Washington is working to change the history of the Second World War, trying to erase the memory of the Soviet victory over Germany. The decision of the President of the Czech Republic, Milos Zeman, to attend the celebration of Victory Day in Moscow, shows that not all European leaders became vassals of the USA, writes on his page political scientist and economist American Paul Craig Roberts. In addition, he said, the US State and can not control all the interpretation of the results of the Second World War. “Washington and its corrupt historians are working to revise the history of World War II in order to erase the memory of the Soviet victory over Germany. Of course, everyone in Europe knows that this is just another attempt by Washington to control All explanations, regardless of the facts, but the vassals [European governments] are used to vassalage and humiliation, “said the expert. Why NATO is afraid of Russia? 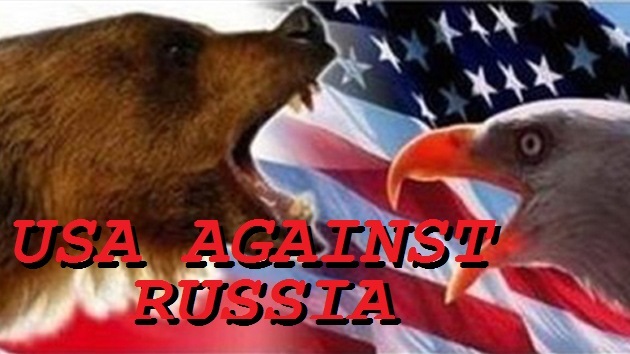 The dual attack -the oil war and the incursion against the ruble with the intention of destroying the Russian economy and put their natural resources in Western vassalage has failed, according to analyst Pepe Escobar. “The master plan of Washington remains deceptively simple: neutralize China by Japan and Russia through Germany while US support to these countries,” said Escobar in his article for RT, adding that the ‘great new game ‘has always been for control of the Eurasian mass. Russia was the only country in the BRICS de facto prevented this plan until Beijing launched its New Silk Road, which involves linking all Eurasia into a commercial bonanza through a high-speed rail. The project will divert transit cargo to land from the sea, for decades controlled by the ‘free trade’ and US aircraft carrier, he stressed the journalist. Given these plans, the crucial game as currently the development by Moscow and Beijing of an alternative system of payments SWIFT. While Russia is preparing to close its sky completely against intercontinental missiles, stealth aircraft, cruise missiles and even the US ‘global strike Lightning’ with its advanced missile systems S-500. Even if the situation reaches the unexpected-a war between NATO and Russia over Ukraine Russian military circles are sure of their conventional and nuclear superiority both at sea and on land. “Unlike all the glitz of NATO and the Pentagon and the demonization of Russia, the Russian military leadership does not need to advertise is that advanced Russian weapons are a couple of generations ahead of the US” said the analyst. “While the Pentagon was entangled in Afghanistan and Iraq, completely ignored the technological leap from Russia,” he added. The NATO military leaders have acknowledged that the expansion of NATO to Russia’s borders is dictated by the desire to dominate in all areas, said Vice President of the International Relations Committee of the lower house of Russia, Konstantin Kosachev. “The commander of the ground forces of NATO in Europe, Frederick Ben Hodges, was very honest in his interview with The Telegraph,” Kosachev said, she quoted by RIA Novosti. The politician was referring to the statement of Hodges in which Lt. Gen. US he said: “. We’re not interested in a fair fight with any country, but we are seeking superiority in all systems not think we’re back, is that Russia has reached us in certain capacities do not want.”. The vice president of the lower house of Russian parliament he added that the actions of NATO did not consist in the creation of the system of minimum defense necessary, but not allow the bloc seeks to achieve military parity with Russia. The erroneous US policy which triggered the civil war in Ukraine “with the hands of others” can lead the world into a global catastrophe if not set back parity with Russia, says history professor Stephen Cohen. In the article published in the magazine ‘The Nation’ Cohen explains that “certain elites” US Ukraine and do everything possible to involve Russia in armed conflict and, according to the author, the other power groups has nothing to oppose these militaristic intentions. German Chancellor Angela Merkel, French President Francois Hollande and Russian President Vladimir Putin last February negotiated with the Ukrainian president Piotr Poroshenko how to end the civil war in Ukraine. However, “the powerful enemies of the new agreement in Washington and Minsk in Kiev presented the outcome of the talks as an indulgence toward Putin” and demanded that President Obama sent to Kiev arms worth 3,000 million. Thus it violates parity between the US and Russia, which threatens international security, said the professor. Russophobia fostered by unbridled propaganda in the US mainstream media, along with the possibility of error in the system of US nuclear alert leave almost no chance of survival for humanity, according to political scientist and economist Paul Craig Roberts. In his new article on ‘Global Research’, the analyst remembers the incident Autumn Equinox in 1983, when thanks to its sound reasoning, a Soviet military detected a system error early warning and prevented nuclear war. Washington currently has 450 intercontinental ballistic missiles that can be launched in minutes in case of an attack against him. Roberts imagine how the American officer who is monitoring the early warning system if you receive a false warning of incoming missiles would behave. “The media have convinced him that Russia has invaded Ukraine and is about to invade the Baltic countries and Poland. The forces and tanks have been sent to the Russian border. It is being discussed arms supplies to Ukraine. Putin is dangerous and It is threatening a nuclear war, patrolling strategic bombers near our border and performing mock nuclear “described Roberts. “There is no place for reasoning in the minds of the American officer. He has been put under a rapid response by the relentless American propaganda,” added the former economic adviser to Reagan. Therefore, he argues, measures proposed by experts in the US and Russia to prevent accidental use of nuclear weapons are impossible amid the anti-Russian hysteria in Washington. “The development of events in Ukraine today is reminiscent of the missile crisis in Cuba,” said the Ukrainian politician in May Renat Kuzmin. The events of recent months only confirm this statement. The Pentagon is developing scenarios operations near Russia’s borders, he denounced the October 16 Russian Defense Minister Sergei Shoigu. Currently, USA suffers a deep crisis of social inequality and “out of this crisis is well planned: a military conflict, since the military conflict attracts investment, strengthen the industry, something that happened during the Second World War,” says political analyst Vardan Bagdasarian, as recorded by the website Pravda.ru. Only in September, NATO conducted three drills in neighboring countries Russia, one in Latvia and two in Ukraine. The Alliance has strengthened its patrol missions in the Baltics, flights surveillance, reconnaissance and intelligence (AWACS) in Poland and Romania and additional warships deployed in the Baltic and the Mediterranean Sea, as well as increasing quotas and expand programs maneuvers . NATO also plans to establish five new bases in Latvia, Lithuania, Estonia, Romania and Poland to strengthen against Russia, which the West responsible for the crisis in Ukraine. The Alliance can deploy its troops anywhere, said the new secretary general of the military bloc, the Norwegian Jens Stoltenberg. US military policies in relation to Russia and China and plans to increase the presence of its forces around the two superpowers could lead to a global conflict that in our thermonuclear age can have irreparable consequences, believes the analyst Mike Billington. “If we allow the Obama administration to continue its threat of full-scale war against Russia by the Ukrainian question, supported large-scale current terrorist organizations in the Middle East and the support of Saudi Arabia, founder and financier of Al Qaeda and now ISIL or Daesh and the massive deployment of military forces, as well as submarine forces with a huge nuclear capacity are encircling China, we are on the brink of World War III, “said Billington, analyst magazine Asian weekly ‘Executive Intelligence’, in an interview with Iranian Press TV channel. International experts, including Americans, are increasingly emphasizing that Washington’s policy directed against countries that represent its counterweight in the world arena can lead to armed conflict worldwide. The analyst Mike Billington warned that the world would soon face a global conflict for US military policy in relation to Russia and China, and plans to increase the presence of its forces around the two superpowers. However, it is not the only one recognized expert who believes that Washington has entered into a confrontation with other countries. The exfuncionaria White House, Philippa Malmgren said in December that from the point of view of the Pentagon, USA It is already in a war with China and Russia. “I was recently at a meeting with senior officials of the Department of Defense and its view is that we are in a confrontation with China and Russia. But this war is not done through traditional weapons but in cyberspace,” said Malmgren in an interview for the website King World News. For its part, the American political scientist and economist Paul Craig Roberts, believes US He has done nothing to convince Russia and China that “Washington has no intention of war, and have realized this has pushed the two countries towards a strategic partnership”, while the “anti-Russian propaganda could motivate a global nuclear catastrophe “. Russia expert and professor at New York University, USA, Mark Galeotti, agrees with this idea and said that “the West and Russia are in a war” as “economic sanctions are actually other means of war. ” In turn, former Congressman Ron Paul also states that sanctions are an “act of war” against Russia, while the “coup d’etat” in Ukraine, which caused the political crisis in that country, was conducted by Washington. The war against Russia and China is imminent if Obama is not removed, says analyst Mike Billington, arguing that Western financial oligarchs are intended to stop the progress of the BRICS. “The war against Russia and China will begin very soon, even imminently, if Obama is not removed immediately,” says Mike Billington, an analyst with the Asian weekly magazine Executive Intelligence ‘, in an interview with Iranian Press TV . For Billington, what we are seeing is only one element of “the growing demonization of Putin”, under which the authorities pushed for the war Castle. “After the Ukrainian parliamentary elections last week, Poroshenko immediately announced that he would not abide by the terms of the agreements previously established in Minsk and the truce. It also changed its decision to withdraw the troops,” he adds. Regarding guidelines current US performance, he said that “what is happening now has nothing to do with Ukraine,” but this is the desperate attempts by the financial community in London and New York not to give China Russia, India and other BRICS countries the possibility of creating an alternative to the corrupt western own financial system. Finally, referring to the US benefits could get provoking a direct confrontation with Russia and China, Billington links it to the fact that the western financial system is bankrupt. “What happened last week was a collapse of the banking system. Even the bankers themselves warn that banks are on the brink of a much more terrible crisis that produced in 2007. And the financial communities in London and New York are not willing to see how the rest of the world finds alternatives. This means they are willing to go to war if Russia and China are not removed, and they are not the work, “he explains. Nuclear strategies of world powers combined with modern military technologies represent a more credible threat of a nuclear apocalypse occurs today than during the Cold War, two generals warn US and Russia in The New York Times. According to retired General Marine US James Cartwright and retired Major General Vladimir Dvorkin Russian, the risk of an “accidental” nuclear conflict in the world takes place is extremely high, writing in The New York Times. Ukraine’s crisis has endangered the stability of relations between Russia and the West and the nuclear issue again looms as a major threat to life on the planet, say the authors of the article. The decision on the application of retaliatory attacks based on the information received from the EWS (or what is the same, satellites and ground radars). The flight time of the strategic missile range between 15 and 30 minutes, so the decision to launch a retaliatory strike should be done in minutes. All this is extremely dangerous, say the generals. Any glitch early warning of missile attack like any provocation may be a sign for the immediate start of a nuclear war. With the emergence of cyber threats multiply danger. Therefore, the military recommended to the White House and the Kremlin forget and abandon confrontation bilaterally implementing the principles retaliatory strike on the basis of information from early warning systems and training of nuclear forces strategic. A nuclear exchange between the US attacks and Russia would lead to the complete destruction of the US, while Russia would be in a much better position, considers the French science writer Jean-Paul Baquiast. In his article published on the website Europe Solidaire writer refers to “various texts currently circulating” and talking about the possibility of nuclear war. “Sensible people know that this attack would be terrible, would have consequences that could affect the whole world and last for decades, not to mention what experts call the ‘nuclear winter’ that can last even longer period. Biologically, cause a new mass extinction of existing species, “says the author. In his view, concerns rose after the General Robin Rand was appointed as head of Global Strike Command of the US Air Force, as some believe could follow the example of US General Curtis LeMay, who He became famous in 1949 by preparing a plan of massive nuclear attack on the Soviet Union. “Meanwhile the Russians, exasperated by the provocations of the US in relation to the crisis in Ukraine, seem increasingly convinced that the US Army actually wants to destroy Russia”, as it is unable to subdue the country conventional methods, says Baquiast. From their point of view, in case of an armed conflict US politicians could opt for a preemptive nuclear attack. “That said, can anyone think that if the American leaders […] into action in the coming months, would destroy Russia option without destroying themselves?” Asks Baquiast. We may think that they are aware of the risks and US strategists are not so foolish as to be exposed to them, but in this “chaotic world […] anything can happen,” concludes Baquiast. Expert: What could be the last war in US history? The United States has begun a new cold war against Russia that could become a ‘hot’ war to end the US destroyed … and not by weapons. The bases and NATO troops surround Russia, but not Moscow but Washington who should think about how you could prevent a nuclear war, because it would be a real suicide for the American civilization, firstly, suggests Konstantin Sivkov, Russian military expert and President of the Academy of Geopolitical Affairs. Their reasoning is simple: a US attack against any country that has a nuclear device strong enough entail a danger of natural disaster and the end of American civilization purely geophysical reasons. Referring to scenarios of nuclear war, the analyst said: “. Among these processes draw attention geophysical phenomena Exceeding many times the power of nuclear weapons, natural disasters can be caused by relatively weak artifacts” Sivkov said. A US very vulnerable area is the San Andreas Fault: located in a depression of land in a boundary area transforming, entitled displacement between the North American plate and the Pacific plate. This transform fault is famous for producing large and devastating earthquakes and extends along the coast of California, therefore the Earth’s surface and underwater. It is an area of ​​instability that generates geophysical earthquakes with magnitude 8.5 on the Richter scale. If you received the impact of a powerful nuclear explosion, it could lead to catastrophic events which completely destroyed the infrastructure of the United States in the Pacific by a tsunami of enormous scale. US coastal areas, with a slight elevation above sea level, are home to most of the US population over 80%. The same areas are also home to most of the industrial potential US Even a relatively intense, several tens of meters tsunami, may cause disastrous consequences for the United States, a fact clearly demonstrated Hurricane Katrina in New Orleans. US geography It presents a big problem in Yellowstone National Park is a supervolcano that bears the same name and is close to its activation period, which occurs at a frequency 600,000 years. Geologists believe the Yellowstone supervolcano could erupt at any time. So it suffices to give a “little push” one-megaton power to activate its eruption suggests Sivkov. The consequences will be catastrophic for the United States. The entire country would be covered with a layer of ash tens of meters thick. Even a powerful explosion would cause a powerful eruption of Yellowstone. The United States will cease to exist or be completely destroyed, although the effects for the rest of the world will be catastrophic. The less prone to be Russia, because of the distance from the site of the eruption, territory size and location of the main towns. Damage to the countries situated on the opposite side of the US It will also be relatively small. However, the eruption would be a disaster for the entire human civilization. But it should be a powerful enough weapon: the very possibility of their use should ‘suppress’ any idea of ​​attacking Russia, suggests the analyst. Victory Parade in Moscow and military equipment presented here have shown the strength of Russia and its readiness for any danger, correspondents have written the German news agency DPA, covering the celebrations in Red Square. “Soldiers, tanks, combat aircraft: the nuclear power (Russia) shows its power to the world,” said the German agency DPA quoted by TASS. “The intercontinental missiles in the parade presented demonstrate that Russia is prepared for any danger,” underline reporters. A reporter for Spiegel Online in turn described the parade in Moscow as something great. “Goosebumps Set when the May 9 veterans pass through Red Square, and each one is greeted with applause.” He notes that this date for many citizens is more important than Christmas, Easter and New Year. This review has also been shared by ‘Frankfurter Allgemeine Zeitung’. “The Victory Day has become the most important holiday in Russia, he left behind the New Year, Easter and other dates,” says the reporter. “People are so brimmed with emotions that you might think that Germany was defeated last night or this morning And the impression that Russia will always beat Germany and other Western countries is created. Tomorrow, the next day, at any time, under any circumstances “. Por : Jorge Velez O. LA PAZ-BOLIVIA.-AGPROG(23-05-2015).-El presidente del Bolivia, Evo Morales, recordó hoy el séptimo aniversario de la aprobación del Tratado Constitutivo de la Unasur con elogios a los principios recogidos en ese documento y con críticas a la Alianza del Pacífico. Al inaugurar un congreso en la región de Chuquisaca (sureste del pais), el líder gobernante mencionó que la Unión de Naciones Suramericanas (Unasur) aprobó su Tratado Constitutivo el 23 de mayo de 2008, durante una cumbre celebrada en Brasilia. Resaltó que el documento, que incluye “principios y programas de integración”, fue trabajado en consenso entre todos los países y bajo la presidencia temporal de Bolivia. “Un día como hoy, gracias a un trabajo conjunto de los países de Suramérica y gracias a la participación del Estado plurinacional, fundamos la institución llamada Unasur en Brasilia”, sostuvo. 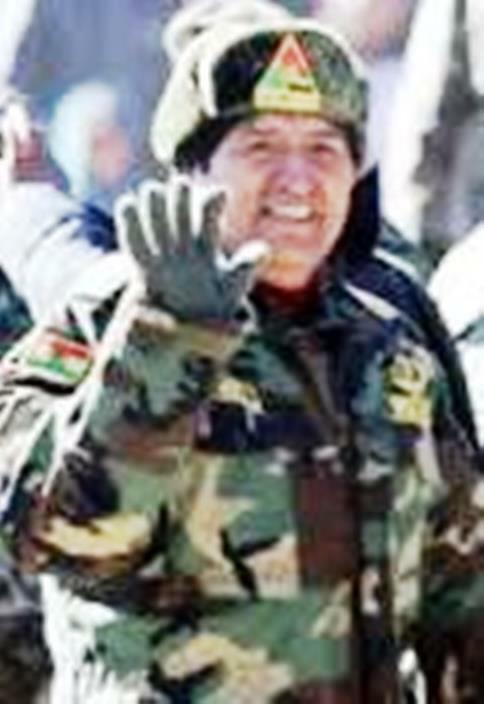 El presidente Morales destacó entre los principios del bloque suramericano la “soberanía, la inviolabilidad territorial de los estados, la autodeterminación de los pueblos”, la paz, la solidaridad, la distribución de los recursos generados, la “reducción de las asimetrías” y la democracia. El mandatario boliviano cuestionó que mientras el Tratado Constitutivo de la Unasur se basa en los “principios de los pueblos”, algunos países hayan creado la Alianza del Pacífico “para implementar modelos del sistema capitalista, modelos que vienen cocinados y estructurados desde el imperio norteamericano y sus corporaciones”. Según Morales, esa iniciativa, promovida por EUA, México, Colombia, Perú y Chile, también fue creada exclusivamente “para privatizar los servicios básicos”, la educación, “la integración”, las carreteras y los puertos de exportación, entre otros. “Esas son nuestras diferencias, que finalmente son políticas de libre mercado desregulado, en donde no existe lugar para el Estado”, indicó. El Gobierno de Morales ha criticado varias veces a la Alianza del Pacífico, al considerarla parte de una conspiración gestada desde el Departamento de Estado de Estados Unidos para la división de la Unasur. El bloque suramericano está integrado por Argentina, Bolivia, Brasil, Colombia, Chile, Ecuador, Guyana, Paraguay, Perú, Surinam, Uruguay, Venezuela y adicionalmente más países se adicionaran próximamente. Morales destacó que este “proceso de integración” fue impulsado por el expresidente brasileño Luiz Ignácio Lula da Silva y los fallecidos Néstor Kirchner y Hugo Chávez. Agregó que la Unasur fue la base “para buscar una integración mucho más grande, la Comunidad de Estados Latinoamericanos y Caribeños (Celac)” que es, a su juicio, “otro instrumento de integración para la liberación” regional. La Alianza del Pacífico es parte de la estrategia de EUA para impedir la unión de las naciones de Latinoamérica. Existe una restauración conservadora para contrarrestar proyectos alternativos como la Unasur (Unión de Naciones Sudamericanas). La Alianza del Pacífico es un proyecto de integración conformado por Chile, Colombia, México y Perú, países que buscan crear un área de libre comercio en la región, basados en el libre mercado y liberalismo basados en la filosofía de Milton Fredman e implementados como esquema general por el Departamento de Estado de EUA. EUA no desea UNASUR, o al Mercosur, quieren un negocio de tipo liberal sin control, quieren comercio y mercados sin regulación, al más puro estilo de la escuela Economista de Chicago. Hay toda una restauración conservadora en la región para contrarrestar proyectos alternativos, a lo que siempre fue, como es Unasur. La integración en América Latina no solo era un deseo sino una verdadera necesidad de supervivencia. Con UNASUR se está hablando de una verdadera integración porque, con todo respeto, la Alianza del Pacífico es lo mismo de siempre: no querer crear una gran nación sudamericana sino tan solo un gran mercado salvaje, no querer crear ciudadanos latinoamericanos sino solo consumidores torpes y ciegos, similares a unos borregos y lo peor sometidos a 3 o 4 corporaciones globales. Más allá de que la parte comercial es importante, la Unasur es un espacio de integración integral y crecimiento de los pueblos a todo nivel. Unasur fomenta políticas comunes para que los países miembros no tengan que competir perjudicando a la fuerza laboral y respetando la soberanía de cada pueblo. WASHINGTON-EUA.-AGPROG(01-05-2015).- La embajadora de EE.UU. pide a la guardia silenciar al delegado de Corea del Norte en la ONU. La embajadora de EE.UU. 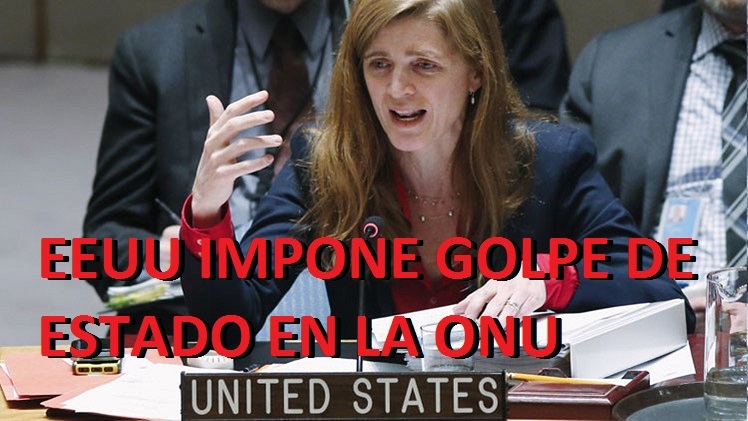 ante la ONU, Samantha Power, pidió “llamar a la guardia” para silenciar al miembro de la delegación de Corea del Norte, Ri Song-chol, durante una reunión sesión en la sede de las Naciones Unidas en Nueva York y de esta forma Impone un Golpe de Estado en el organismo, contra cualquier país o nación que se atreva hablar de su política tanto interior o exterior y es susceptible a silenciar a la delegación completa con el uso de la fuerza. Según informa la agencia TASS, el incidente tuvo lugar después de que el embajador norcoreano tomando la palabra en la sesión, dio su parecer y su criterio en una serie de discursos sobre la situación con los derechos humanos en su país y denunciar la política de doble rasero de EEUU y los crímenes del Departamento de Estado y su Complejo Militar industrial militar en el planeta, esto sumado a los “graves actos de discriminación racial en EEUU e impunes” cometidos por la Policía estadounidense contra los afroamericanos e hispanos y comunidad latina en los recientes meses, las horrendas torturas practicadas por la CIA dentro y fuera de EEUU como también la intervención en los asuntos internos de las naciones. El diplomático Norcoreano también critico que EEUU exige a otros países Libertad y Democracia mientras que en EEUU se suprimen las libertades, la democracia y se atacan países para doblarles el brazo. Esto incomodo gravemente a la delegación de EEUU en la ONU. “Esas declaraciones les desacreditan completamente”, gritó Power al delegado norcoreano en la ONU. EEUU impuso de esta manera un Golpe de Estado en Las Naciones Unidas, donde esta nación tiene la potestad de criticar a otros libremente, pero no soporta que otros países le hagan críticas sobre su política interior o exterior. El Golpe de Estado de EEUU o Ley Marcial tuvo éxito en la ONU y se aplicó por la fuerza donde al embajador Ri de NorCorea tuvo que terminar su discurso con el micrófono desconectado, porque la representante de EE.UU. exigió apagárselo a los guardias de seguridad. Finalmente, él y dos diplomáticos norcoreanos más abandonaron el salón, acompañados y custodiados por los agentes de seguridad y de la CIA. Los sucesos en Ferguson y los de Baltimore en EEUU donde no se respetan ni se juzgan a los responsables de crímenes. A si mismo Corea del Norte se ha dirigido al Consejo de Seguridad de las Naciones Unidas para exigir que se examinen las torturas de la Agencia Central de Inteligencia (CIA) en lugar de las presuntas violaciones de los derechos humanos en el país asiático. Piongyang afirma que las denuncias sobre violaciones de derechos humanos asociadas al Gobierno comunista tienen una motivación política, mientras que el verdadero problema para el mundo es la práctica de torturas de la CIA a sospechosos de terrorismo. El embajador de Corea del Norte ante la ONU, Ja Song-nam, aseguró en una carta dirigida al presidente del Consejo de la ONU que los delitos cometidos por la CIA y las fuerzas militares estadounidenses en “lugares negros” de todo el mundo representan “las formas medievales más brutales” de tortura y “graves violaciones de los derechos humanos”. Piongyang quiere que Washington sea juzgado por la Corte Penal Internacional, pero no verá cumplidas sus esperanzas ya que EE.UU. tiene capacidad de veto en el Consejo de Seguridad de la ONU. La solicitud de Corea del Norte se produce después de la publicación del informe del Comité de Inteligencia del Senado de EE.UU. que detalla “las técnicas de interrogatorio mejoradas” del Gobierno de Bush y su “guerra contra el terror”. También se denunció que EEUU permanece inmóvil ante las denuncias y no tiene la voluntad de actuar en contra de sus Agencias de seguridad como la CIA. Se hizo referencia también a que la organización defensora de Derechos Humanos Amnistía Internacional (AI) acuso al presidente de Estados Unidos, Barack Obama, de aplicar una “amnistía de facto” a las personas involucradas en el programa de la CIA en el marco del cual se detuvo y torturó a los capturados a raíz de los atentados del 11 de septiembre de 2001 en ese país. Según Amnistía Internacional, desde la publicación el pasado mes de diciembre de un informe del Senado estadounidense sobre el uso de lo que la CIA llamó “técnicas mejoradas de interrogatorio”, el Gobierno de EEUU no hizo nada para acabar con la impunidad de quienes abusaron y maltrataron a presos y al contrario los protege. Naureen Shah, investigadora de AI, señalo que la Administración, efectivamente, había garantizado la inmunidad ante eventuales procesamientos al no investigar completamente las conductas que salieron a la luz tras una investigación de cinco años. El informe del Comité de Inteligencia del Senado concluyó que la CIA había engañado a la Casa Blanca y al pueblo estadounidense sobre un programa en el que estaban incluidas torturas a miembros de Al Qaeda y otros cautivos en instalaciones secretas de todo el mundo entre 2002 y 2006.